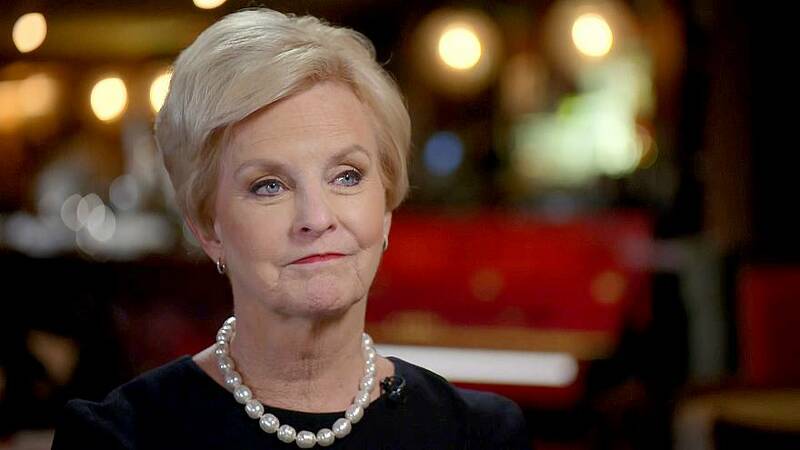 Cindy McCain, the widow of GOP Sen. John McCain, on Friday slammed the idea of a wall to curtail human trafficking at the southern border, which President Donald Trump has repeatedlycited as a problem to build support for his long-promised barrier. For more on this story, read NBCNews.com and watch "Nightly News with Lester Holt" at 6:30 p.m. ET/5:30 p.m. CT. This past February, at an event on human trafficking, Trump claimed at that human traffickers were "going through a border where there's nobody for miles and miles, and there's no wall to protect," adding that "they come into our country and they sell people." The president also repeated the claim in State of the Union address earlier this year. In her NBC News interview on Friday, McCain also lamented at a lack of civility in Washington and said that her husband, who died last year, would have wanted lawmakers to debate each other on the issues but work together on a bipartisan basis. "I am quite certain he knows what's going on," she said. "I know he'd be so upset over this because of the tenor, the lack of inaction on many members' parts, specifically on members of Congress. He would've been right in the mix saying we're going to work together, please let's not fight. That's who he was." She added, "Oh, he loved a good fight. Heck, yeah. But it was never personal with him. He and (Massachusetts Democratic Sen.) Ted Kennedy used to fight like cats and dogs on the floor but they were the best of friends. I wish we could go back to that." McCain did not directly address hostile comments that Trump has made about her late husband.